Hi everyone! 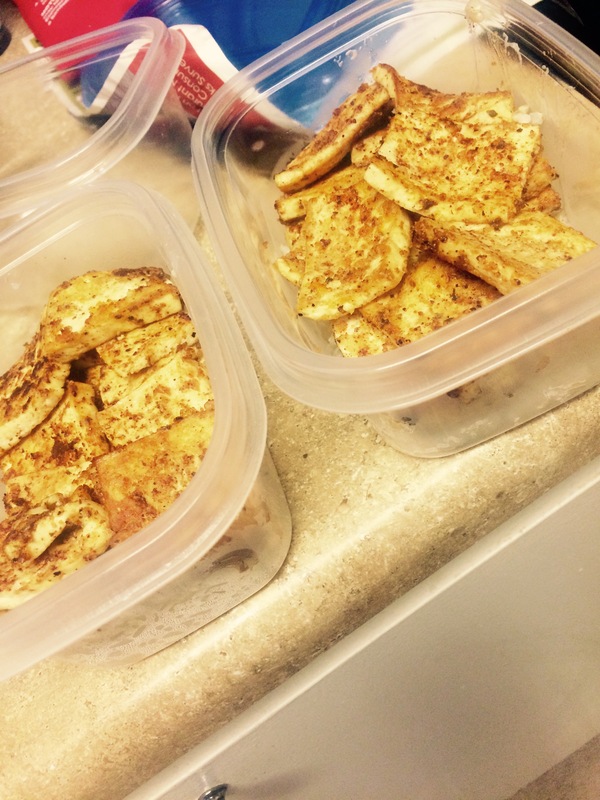 I realized that I do a ton of meal prep to stay healthy and get in my protein with how active I am! Here is my favorite easy recipe that I can make for both Thomas and I when I do our meal prep on Sundays. The whole thing takes about 1.5 hours for four meals! Start off with draining your two packets of tofu and squeezing out all of the water with a towel as usual. While the tofu is getting ready, place all four chicken breasts into a large freezer bag and fill it up with water and some salt. Let that sit for about 15-20 minutes to brine the chicken…trust me, it’ll taste even more amazing if you include this step! 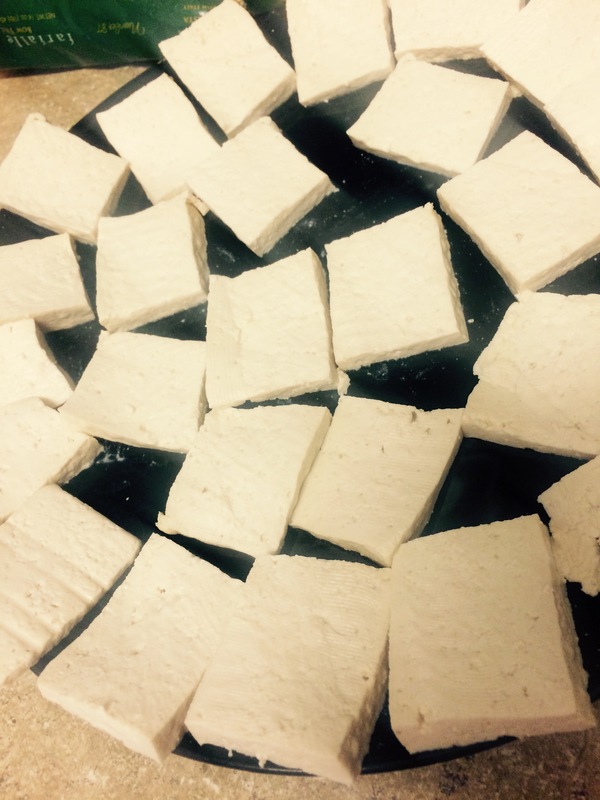 Begin to cut the tofu in small squares, not too thin but kind of like the picture below. 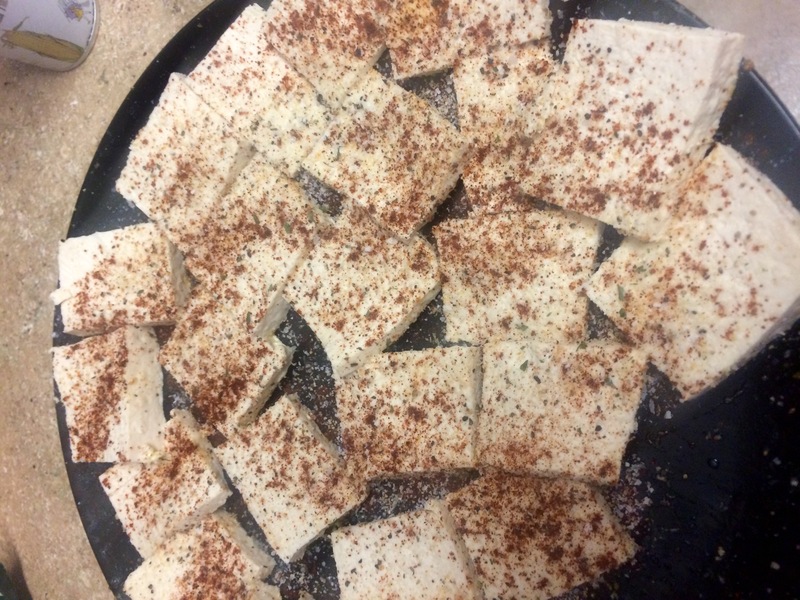 Begin to season the tofu with the salt, pepper, garlic salt, and red chili pepper. Make sure to do this on both sides of the tofu. Once all of the tofu is coated, sprinkle just a bit of cornstarch on the entire plate of tofu, front and back. THIS IS THE KEY to crispy yummy tofu! Put 1 tbsp of butter into a hot pan and place 1/4 of the tofu in face down and let that cook until browned on one side. After this, flip the tofu over and let it cook on the other side. Once the tofu is fully cooked, take it out and place it into a bowl and continue doing this until all of the tofu is cooked. While the tofu is cooking, pat dry the chicken and begin to season it with the same ingredients used for the tofu except for the cornstarch. 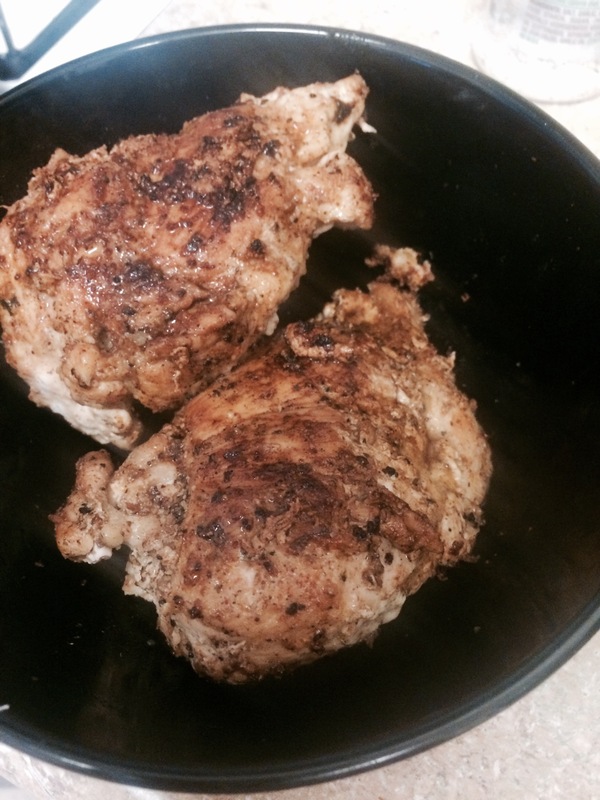 Sprinkle salt, pepper, garlic salt, and red chili all over the chicken breasts. Put 1 tbsp of butter into another hot pan and place 2 of the 4 chicken breasts into the pan and let them cook skin-side-down for 7 minutes. Flip them over and allow them to cook on the other side for another 3-4 minutes or until totally cooked. 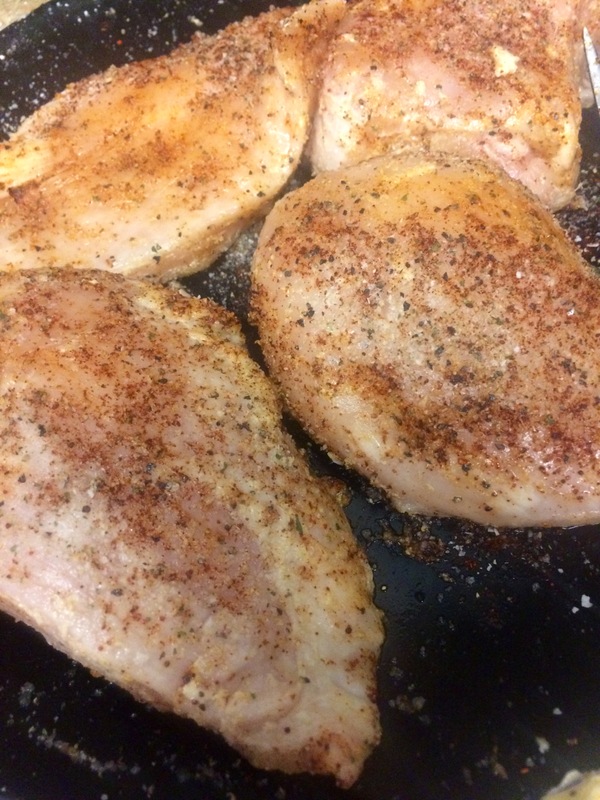 Take these off the pan and into a plate to cool, and continue with the other two breasts. Also, the tofu meal has 22 G of protein, and the chicken has about 32 G of protein. Brine the chicken, place all the breasts into a freezer safe bag and fill it with water and a tsp of salt; let that soak at for about 15-20 minutes. After seasoned, sprinkle a bit of cornstarch on both sides of the tofu to make it extra crispy when cooking it. Put 1 tbsp of butter onto a hot pan and place 1/4 of the tofu into the pan, spread out evenly so all the tofu is faced down. Cook until browned on one side and flip over to cook the other side. Once cooked, put into a bowl and continue cooking all of the rest of the tofu the same way. While the tofu is cooking, pat dry the chicken and begin to season it with salt, pepper, garlic salt, and red chili powder. Put 1 tbsp of butter onto another hot pan and place two chicken breasts in there skin-side-down and let cook on that side for 7 minutes. Turn over the chicken to let them cook on the other side for another 3-4 minutes or until completely cooked through. Take these two out, and continue the same process with the other two chicken breasts. Once all of the tofu and chicken has been cooked, begin plating the containers by first putting in some brown rice (follow directions) to keep it a healthy meal. Place tofu on top of brown rice in 4 containers. Place one chicken breast in each container.